Ruby & Millie Face & Body Metal is pure beauty indulgence. It is intended for the cheek, brow and decolletage areas to add a touch of shimmer but could be used on any area which you would like to draw attention too. Metallic make-up will never go out of fashion and can always be relied upon to add that extra touch of glamour. For a luxe, golden effect you could apply the cream in thin layers or for a stronger look build up the layers to create more of an impact. It comes in four shades, one to suit each complexion. Make-up artist and co creator of Ruby and Millie, Ruby Hammer recommends that you use the bronze and gold shades for darker skin tones and silver or rose gold for fairer complexions as silver will blend into your natural hue more easily. 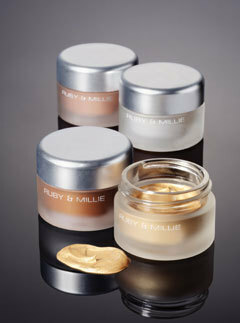 If you’d like the midas touch you can pick up Ruby & Millie Face & Body Metal from Boots priced at £11.